Sure, I love Thanksgiving because I get to eat amazing food. I love Christmas because there is something about the Christmas spirit that makes everything better. And, I love Easter because the candy is phenomenal. But, I have always loved the ability to be someone or something else for a day. There is something freeing about donning an outfit and makeup and becoming someone or something I have always wanted to be. For instance, I am very introverted, but add some really cool cat makeup and tights, and I transform into an outgoing cheetah for a day. I mean, after all, who doesn’t love Halloween and a good Halloween party? I will admit that not all pets enjoy Halloween. People who don’t look like people can be overwhelming and scary to man’s best friend! But, 31 million people intend to dress their pet up this year for Halloween! That is a big number! 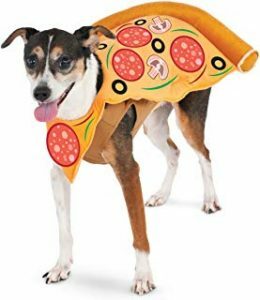 Thankfully, large retail companies have noticed this trend and did their best to provide quality costumes for pets of all ages and sizes. 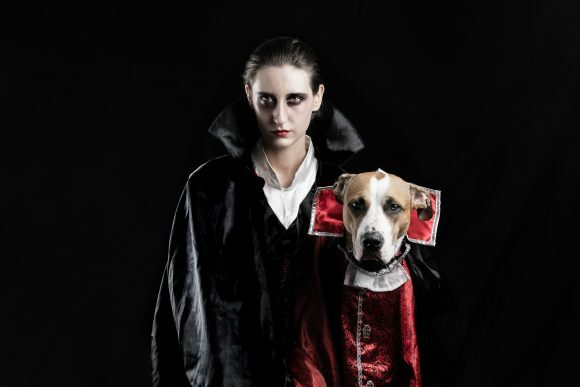 Halloween pet parades have also made an appearance in many towns across America. 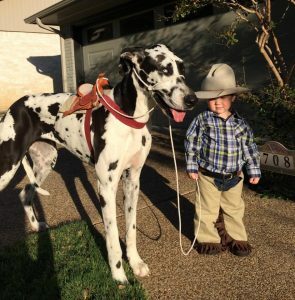 We love cute kids and costumes; why not add our pets into the mix? 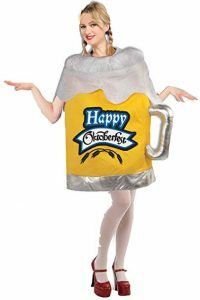 Want to add a little more cuteness to your costume and theme this year? Why not add a theme that includes your pooch? 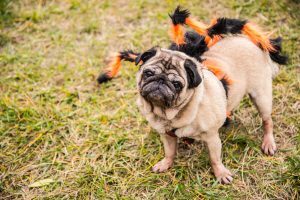 Matching Halloween costumes for dogs and owners, and specific themes can be that little edge to help you win the costume contest or stand out during the Halloween dog parade. 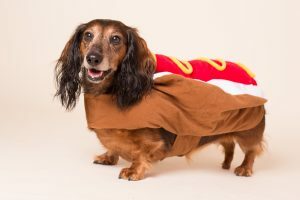 I realize most people don’t have enough time in their day to worry about human costume ideas, much less cute dog costume ideas, so we are here to help! Nothing is more tantalizing than becoming you and your pooch’s favorite food for the night. 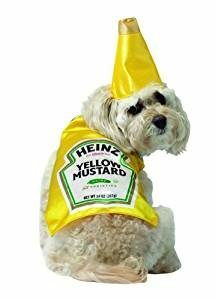 Let your dog be the hotdog, and you can be the ketchup, or you can be hotdog and beer! 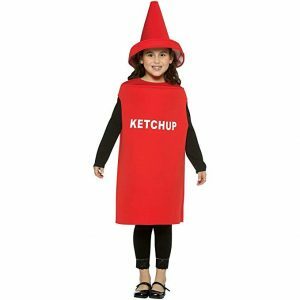 How about ketchup and mustard? 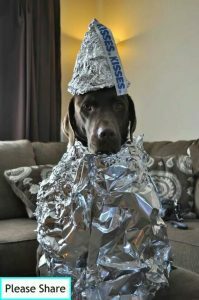 Transform your pudgy pooch into a Hersey’s kiss (just some stuffing and tin foil), while you become an M&M. Use some string, and you can be spaghetti while you make your dog a meatball! 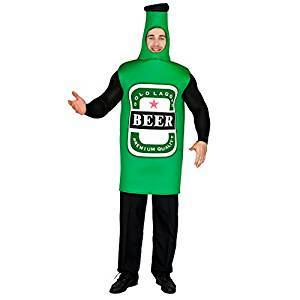 A slice of pizza and a cold beer could be a perfect costume combination as well. Want something cute and easy? Use some cardboard to fashion your pet into a wine bottle while you hold a large wine glass! Famous duos are also adorable costume ideas. Got a Great Dane? Transform him into a horse, and you can don a cowboy hat and become a cowboy for the night. Have a dog with a long snout and furry coat? 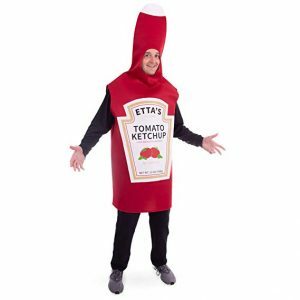 Why not dress him up as the “Big Bad Wolf” while you become “Red Riding Hood”? 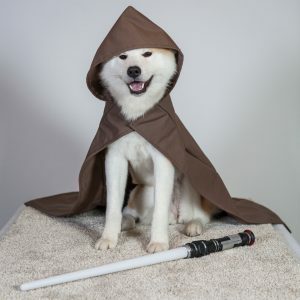 Hot glue some cotton balls together on a t-shirt to make your dog into a sheep, while you transform into Little Bo Peep. Charlotte’s Web is one of my favorite books. 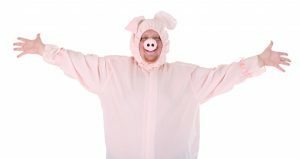 Make a spider and pig costume and see if anyone recognizes your theme! 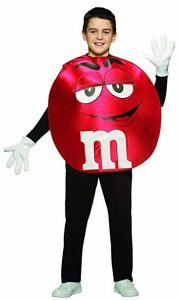 I think this could be the perfect costume to win any contest! 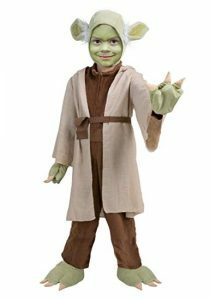 A Yoda dog costume with Luke Sky Walker could be fun too! Especially if you have a small dog, like a French Bulldog. Star Wars is a classic idea that will be easily recognized by young and old. 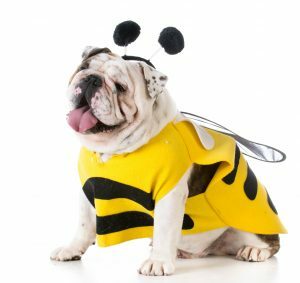 Let your dog go as Bumble Bee while you go as another transformer. 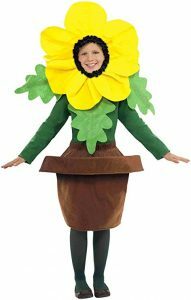 Or let your dog go as “a” bumble bee and you go as a flower! 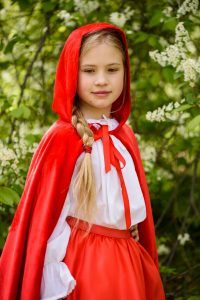 All in all, human costumes are fairly easy, but coming up with matching costumes will be adorable and more fun for everyone involved. 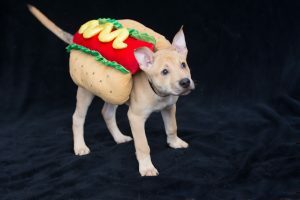 With this much cuteness, you are going to want to throw your own Halloween dog party! Honestly, the ideas are limitless! Come up with your own great plan and have fun with your dog this holiday season!